Postcranial remains (fragmentary humeri, ulna, fibula, tarsals, and phalanges) indicate that A. turkensis was a large catarrhine of approximately 77 lbs. in bodyweight (Hartwig). The dentition is characterized by a shallow palate, with parallel tooth rows, a large diastema, and is comparable in size to a modern chimpanzee (Hartwig). 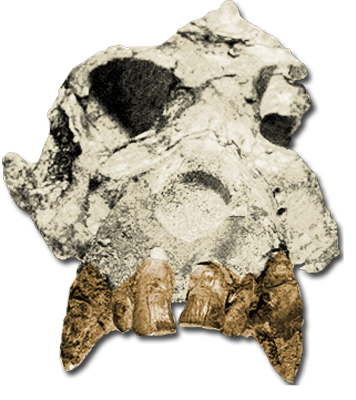 Afropithecus contains a suite of craniofacial characteristics seen in both cercopithecoids (old world monkeys) and early hominoids. 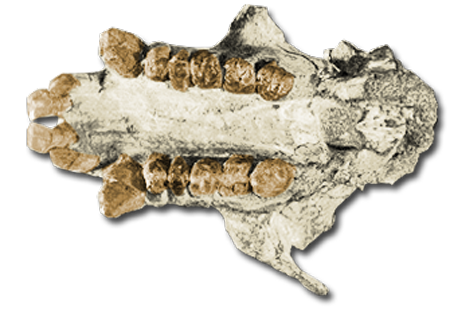 According to Benefit and McCrossin, “Afropithecus shares with Victoriapithecus, an extinct old world monkey, and Aegyptopithecus, an extinct proto-ape: a long snout, great facial height beneath the orbits, and a deep cheek region. These primitive characteristics are indicative of the last common ancestor of the Cercopithecoidea and Hominoidea.